Conserving marine mammal species urgently requires expanding from the IMMAs’ evidence-based approach to the implementation of place-based policies and actions that would eventually lead to the reduction of risks.  To this effect, the Marine Mammal Protected Areas Task Force is setting up regional groups in preparation for IMMA and other potential Task Force workshops over the next years, as well as for follow-up actions from the regional IMMA workshops. This is seen as an evolving role of the Task Force with the fundamental task and mandate of serving its goals and needs in each region, specifically related to the implementation of conservation measures following on from the selection of IMMAs in each region. examining the need for the establishment of MMPAs and follow up with proposals, lobbying, and to provide scientific and conservation expertise. Participants at each regional workshop and those contributing supporting data form the nucleus of the regional expert group. The regional co-ordinator is appointed by the Task Force chairs from within the group, and is invited to become a member of the Task Force. The regional co-ordinator is responsible for maintaining and expanding the group, as needed, and to conduct actions in support of the envisioned tasks in collaboration with the Task Force and with the relevant IUCN SSC Specialist Groups. The regions correspond to the boundaries chosen by each regional workshop which roughly correspond to the 18 IUCN Marine Regions. It is anticipated that every 2-3 years the Task Force Regional Co-ordinators will meet at the International Conference for Marine Mammal Protected Areas (ICMMPA), or at the IUCN World Conservation Congress (WCC), the International Marine Protected Area Congress (IMPAC), the Society for Marine Mammals (SMM) Biennial, as well as other regional marine mammal meetings. A summary report of the regional group activities and accomplishments is expected to be submitted to the Task Force Chairs at the end of each year, on 31 December.